Opinionated Girl : Beauty Extravaganza with Areej! Make-up workshop! 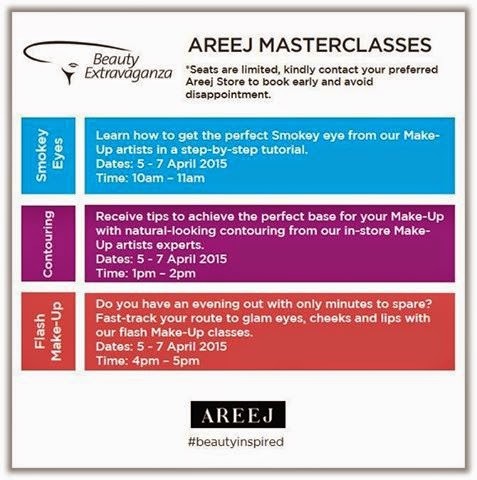 Beauty Extravaganza with Areej! Make-up workshop! The Areej stores recently invited me to their stores for a makeup workshop and I was super excited to attend because it is my first time going to such things! Thank god some girlies from the blogger-sphere were there already to walk me through what was going on :p! The makeup artist, named Olga, showed us the latest trends in the beauty world, what to do, and what not to do. We also got to learn more about their Beauty Extravaganza where the main focus was celebrating color and knowing how to wear it. If you want to attend such a class, feel free to book a class below!